Your dentures are an investment and require care and attention to maintain their optimum performance. The fit of your dentures will have a profound affect on your oral tissues and health. An annual examination by Teresa T. Mercado, DDS will help ensure your denture is functioning properly. For more information about Dentures, or to make an appointment with Dr. Mercado, please use our Request an Appointment form or call our office: Monarch Dentistry of Gold Hill Fort Mill Office Phone Number 803-547-7779. Bite problems, speech impediments and tissue irritations can be caused by an ill-fitting denture and should be remedied. Leaving this condition unchecked can lead to complicated situations in the future. 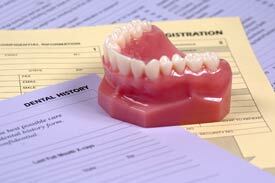 Teresa T. Mercado, DDS can assess your dentures for cracks, chips, and broken or loose teeth and suggest solutions. Fort Mill Dentist, Dr. Teresa T. Mercado, is dedicated to providing you with a pleasant visit and results that you're proud to show off. Call Monarch Dentistry of Gold Hill Fort Mill Office Phone Number 803-547-7779 with any questions or to make an appointment.